Any clue as to how I can improve my pirouettes? I mastered spotting but I can never do more than one at a time... I have been dancing for two years oh... I'm 14... I practice everyday and yet I never improve. Any help? Thanks for contacting me on ballet terms, it is great to hear from you! 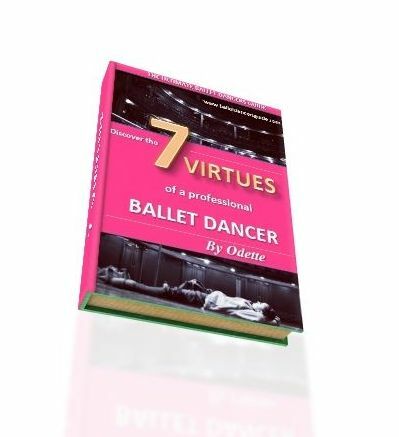 Pirouettes are the mastering ballet move which every dancer is undoubtedly always trying to figure out how to improve. It is true that some dancers can turn more naturally than others, but don't worry if you feel like you are not getting anywhere with your turns. Often at some stage, every dancer gets slightly frustrated with pirouettes! Pirouettes can be unpredictable and inconsistent, but I can definitely give you some tips to help progress your pirouettes. Firstly, it always helps me to think 'up' in your turns. A great teacher once told me the more you think about the turn, the less it will actually happen. Instead of focusing on turning, think about lifting up and the position your body has to be placed in. Your toes should be activated with your foot placed in retire, your arms in a supported first position and your glutes holding your turn out. Also, check the position you are taking off from. If it is in fourth position, then make sure a good majority of your weight is placed on the front leg so it is ready to take off into the pirouette. Stay compact with your abdominals engaged, because pirouettes are all about balance so you want to stay as strong in the position as you can. One thing which you can do at the bar to help prepare for your pirouettes is really focus on finding your balance. Especially when given the chance to balance in retire, really use this moment to fix your balance and test where your weight is. This way, when you come into the center you already know where your balance is so your body is ready for pirouettes. Hope this helps, keep working hard and in lift UP in those pirouettes!